This buckshot ammunition is excess production from military orders and boasts extremely reliable performance in a home defense or close-range hunting role. 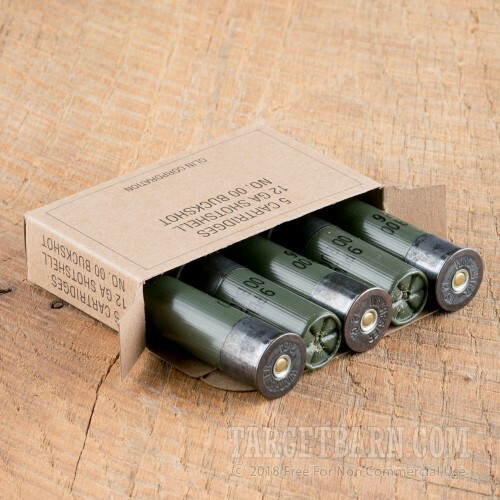 These 2-3/4" shells have OD green hulls and anodized heads and come in simple, no-nonsense packaging; each box contains 5 shells. 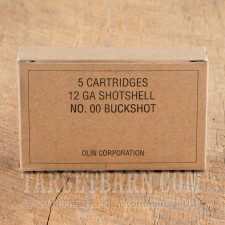 These shells fire 9 pellets of 00 buckshot at a muzzle velocity of 1,325 feet per second. 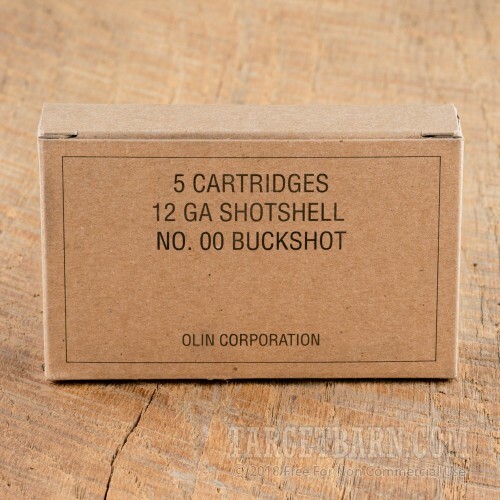 This is comparable to civilian hunting loads and provides a relatively high effective range and strong penetration at the cost of relatively stout recoil. 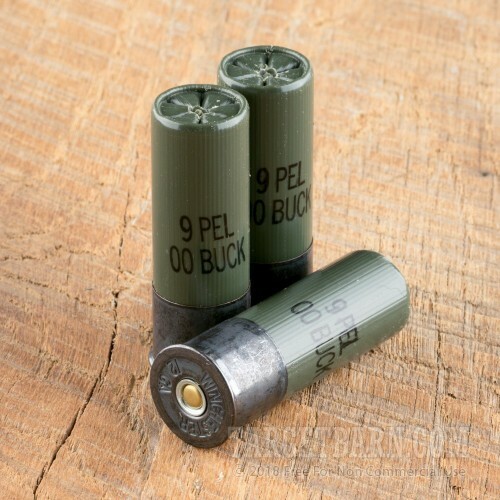 The buckshot pellets are padded with GREX buffering material which helps them maintain rounder shapes and produce tighter patterns. 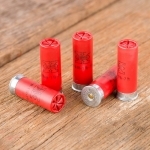 Winchester ammo is loaded in Oxford, Mississippi at a state of the art facility opened in 2011. While historically not widespread in military use, shotguns have proved valuable in specialized situations where their close-range firepower and breaching ability can prove decisive. These include the trench warfare of World War I and the urban combat seen in some parts of the global war on terrorism.